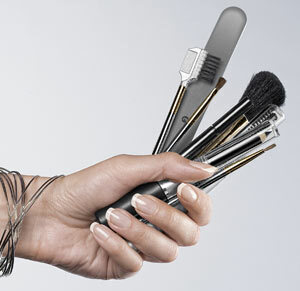 Among the considerations for students of cosmetology one is the question of cost and financial aid, another is the question, “How long is cosmetology school?” Understandably students of the beauty arts often wish to move on to working in the career that they have chosen, and the idea of attending school for a long period of time is unappealing. The length of each program depends upon quite a few different variables, but some of those are within the student’s control. The shortest possible route is to start in high school if that is possible. If it’s not possible then there is plenty of room to vary the length of your schooling. Students can choose to specialize after they are licensed in cosmetology, or they can opt to specialize at the beginning of their training. If time is of the essence, and a student wants to become licensed and find work as soon as possible, it might be wise to specialize. Students can always go back to school later on a part-time basis and obtain hours toward other licenses if that is their desire. You can get a head start with your the hairdressing portion of your training via an inexpensive course you can take at home. The key to determining the length of study for a particular discipline is to check with the state board of cosmetology. These boards (example) regulate the training and licensure of cosmetologists and related fields. As such, they have specific requirements listed for classroom training and practical training before a student can apply for licensing. Some states require only 1,000 hours, while others require far more. Students should make sure that any program of study they decide to undertake provides the number of hours needed to comply with the state board of cosmetology’s requirements. Some students may find that they are unable to draw out their schooling. This can happen for multiple reasons, but there are ways to help make the instructional time shorter than it might have been otherwise. This is not a shortcut around the number of hours required for licensure, but it can help students to speed up the licensing process. Attend Full-time Classes – For some students, attending classes full-time is not possible. This can be because they need to work as well as attend classes, or a variety of other reasons. If it is financially feasible, attending classes full-time can help students to get through the instructional period much more quickly. Some schools or salons also offer internships to students, which can help with the practical hours as well. Specialize – Another way to shorten the amount of time in cosmetology school is to determine an area of specialization early on. In this manner, students can start streamlining their course load to comply with the state board of cosmetology’s requirements for that specialty. Students who truly want to have a license in the broader topic of cosmetology might not prefer this alternative, however. In all, the length of time students spend in cosmetology school can vary quite a bit. While some of that is within the student’s own control, there are other factors at play. Students would do well to take a good look at what they hope to achieve with their cosmetology license to choose the right program for them.